A retired judge in charge of the biggest inquiry into child abuse in UK legal history has appealed for openness from the institutions in Northern Ireland where crimes against children allegedly took place. 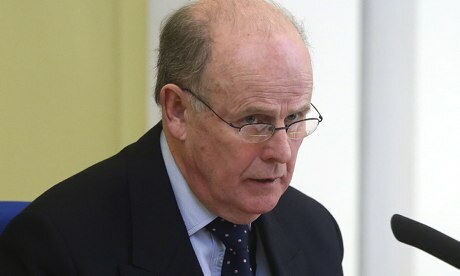 Opening the public inquiry into 13 orphanages, young offender centres and other places where children were kept in care, Sir Anthony Hart said the government had to be open in its dealings with the tribunal. "This may be a challenging process for everyone involved, but it is our hope that everybody, whether from government or from the institutions, who is requested to assist the inquiry will co-operate in a fair, open and wholehearted way so that this unique opportunity will not be wasted," Hart said at Banbridge courthouse where the hearings will take place. He assured the more than 400 victims – 300 of whom will give personal testimony to the court – that they "will have the satisfaction of knowing that their experiences are being listened to and investigated". Christine Smith, senior counsel for the inquiry, told the court: "By examining how vulnerable children living in children's homes between 1922 and 1995 were treated, this inquiry will examine the soul of Northern Ireland in that period." The inquiry will examine claims of sexual and physical abuse including at the Kincora boys' home in east Belfast, where a senior Orangeman and a number of loyalist extremists are alleged to have raped children. The inquiry may also explore allegations that the security forces – both MI5 and RUC Special Branch – knew about abuse in Kincora, but failed to act against those responsible because many of the alleged abusers were state agents. There will be written and oral testimony from 434 individuals. The inquiry will also investigate how 120 children from the institutions were sent to Australia as part of a child migration policy between 1947 and 1956. The hearings are scheduled to continue to June 2015 and could cost up to £19m. Campaigners in Britain said they wanted the inquiry to extend to England and Wales. Jonathan Wheeler, a lawyer and founding member of Stop Church Child Abuse, said: "The start of this inquiry will be a relief to the alleged victims, allowing them to take heart in the fact that a process intended to bring them justice is at last under way. Lessons must also be learned by the authorities and all those responsible for the care of young children to prevent this kind of abuse from ever happening again. "We have been calling for a similar over-arching inquiry in England and Wales. The government has refused, but if Northern Ireland can tackle the issue why should survivors here be denied their say and the proper scrutiny of all they have suffered."